Real Madrid are favourites to retain the trophy according to Bloomberg. Real Madrid will retain the Champions League this season according to Bloomberg Sports analysis, the Daily Mail reports. Liverpool vs Ludogorets – See how the Reds will line up in tonight’s Champions clash. The Spanish giants are favourites to win back the trophy for the 11th time while Premier League clubs Chelsea and Manchester City are also in the top six. The projections come from Bloomburg Sports’ match analysis, which predicts how a side will perform by comparing a clubs recent and historic Champions League campaigns while also taking into account teams transfer spending and group stage draw. So according to Bloomberg’s calculations, here are the top six favourites for this year’s Champions League. Quite rightly, Bloombery believe that PSG will lead France’s challenge for the Champions League. The French champions main summer business was buying defender David Luiz for £40 million but apart from that, Laurent Blanc hasn’t strengthened all that much. 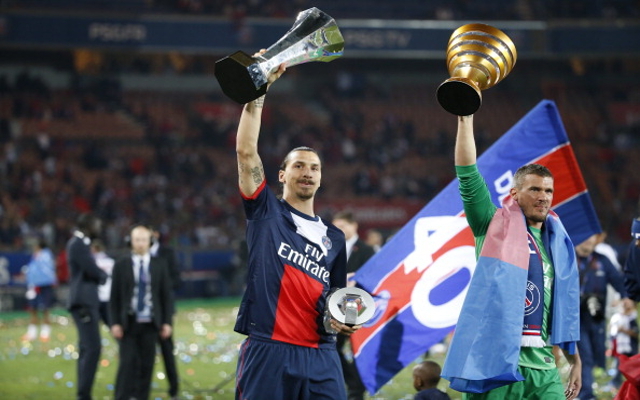 The PSG hierarchy will hope that the team can improve on last year’s quarter final finish.